Denver's premiere import auto service shop, specializing in BMW repair. At Paddock Imports, we offer personal service at a fair price. Our certified BMW technicians use the latest diagnostic equipment and tools to quickly and accurately service and repair your German vehicle. 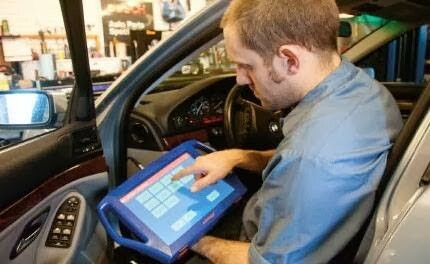 We invest in continuing education so we stay on the cutting edge of BMW repair technology. After taking my 335 to two separate dealers here in Denver – neither of whom could identify the problem – Doug and the guys at Paddock took about 15 minutes to identify the problem, explain to me what was wrong, and get me back on the road. I can say without reserve that I will trust them with my service needs from here on out. Thanks for a fantastic experience! The service that I received was way beyond my expectation and the price was lower than I expected. I would NEVER let anyone else work on my car. Doug is a mechanic with a very high level of integrity and passion for doing things right the first time. Take your car in and see for yourself. You won’t be disappointed!!!! Recently went to Paddocks to get the oil pan gasket replaced. Great service at a cost of half of what Murray BMW wanted. Would definitely return in a heartbeat! Called to ask some pricing questions,I was talked to like I was ignorant. Not sure why the owner thought just because I don't own the equipment to reset my computers that I was a complete idiot. I've been working on my own BMW's for the last decade and have yet to misdiagnose my problem or fail to fix the current problem. I've since found a cheaper/more helpful independent to help me out. Even though paddock imports was cheaper than the BMW dealership (still not the cheapest) I would definitely pay more not to deal with them. I've taken my business elsewhere. I have used Paddock Imports to repair my BMW twice in the last year. I was impressed how quickly and honestly they assess and repaired my car. They replaced only what was needed but also made sure to check that the computer was up to date and other miscellaneous items. I returned recently and they warrantied the defective part, making my experience painless. Jaime does a fantastic job of communicating and providing excellent support. We took my 1995 BMW in for what we thought would be a couple of O2 sensors replaced and bleeding the clutch after replacing the master cylinder. Doug Paddock let us know up front that there were other items that could cause the check engine code we registered, and he would get back to us that day. Doug was right on the check engine code, and after working all day on the clutch they found out that the new master cylinder was faulty. Doug only charged us for the time spent actually fixing the car - not for diagnosing the faulty cylinder. Who does that? I am so impressed with Paddock Imports and LOVE my revitalized BMW. You are our go to mechanic now. Thanks! Paddock Imports saved my relationship with this amazing car! After a year of HORRIBLE experiences with the Denver BMW dealer [ridiculous misdiagnoses and regularly the car coming out of the dealer with more problems than it went in with], I was ready to cut my losses and switch to something Japanese. After finding Paddock, now three years later - and with 140,000 miles on the car, I am absolutely back in love with this [now very-used] car and bought a second BMW knowing that it too would be in good hands. I trust them. Its wonderful that often they catch little things before they get to be big problems. And, often, they alert me to big expenses six months or more before they "need" to be addressed. I've spent lots of money with them - and I'll happily spend a lot more rather than spending that money on brand-new and less-inspiring cars. Its my opinion that they are the best around. I trust them. I like them. And I am so happy I found them [on this website]. I took my car to Doug at Paddock Imports because my BMW X3 was starting up rough, had a couple of engine codes, and had an issue with the fuel gauge. I appreciate the time and effort from Doug to get my car repaired. He was able to accommodate my work schedule every time my car had to be in the shop. Doug and his staff did a great job and I would definitely take my BMW to them again. The guys at Paddock Imports love my car as much as I do. They know everything there is to know about it, and can answer any question I have about how it works, what it needs, and what I can expect as far as operation or service life of component parts. 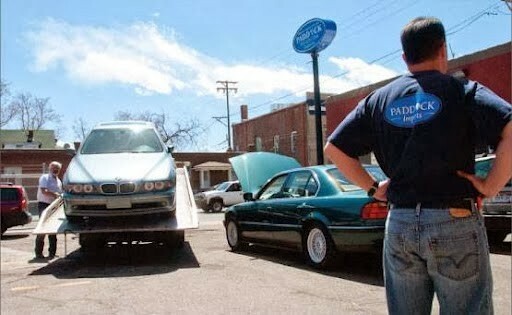 If you are not happy where you are getting your BMW serviced, switch to Paddock Imports. I drive over 400 miles just to let Doug and his staff pamper my ride. Soon after purchasing an e46 M3 4 years ago, I needed a brake job. I decided to see if all of the internet rabble about "stealerships" was true as this would be my first major repair since owning the car. I called Murray Motors and was given a quote of $1400 for a brake job. I then called Doug and was given a quote of around $800 and some friendly advice on the perils of BMW dealerships. I thanked him--and curious as to the outcome--called Murray Motors back and told them that Doug had quoted me $800 for my brake job. Curiously, the dealership rep asked me to hold and when he came back to the conversation, stated that he could now do the job for $850. I begrudgingly accepted the offer but vowed never to use Murray Motors again as they had clearly tried to take me to the cleaners. Needless to say, I have since used Doug and company at Paddock Imports and have never been dissatisfied. Costs are always what is quoted ( or a bit less ) and I trust Doug to do what needs to be done when it needs to be done. If you own a BMW, take it to Doug! I am mixed on Paddock. I believe they do good work overall, but like another person who posted here, I had to have my brakes replaced, was told to use ceramic, and they continue to squeak. I've had to bring it back twice to have it checked and both times I just get fuzzy or other unsatisfactory answers. My car runs fine but the time combined with the money required to get to "running fine" is a lot. More than any other repair shop I've been to, they require me to keep coming back in rather than just dealing with everything correctly at one time. All the people are very likeable but I may just shop around for another alternative. I took my car to Doug because my BMW 530 had a bad CCC Module. After a few weeks at his shop and lots of troubleshooting they had my car turned over to Ralph Schomp because of certain warranty restrictions for that module. However during that time Doug was very awesome and covered my rental and followed up with me regularly. Turns out that coding in the software was the root cause but Doug needed Ralph Schomp To acknowledge that in order to get my CCC warrantied. Doug and his Staff did a great job and I would definetely Take my car to them again. I have been doing business with Doug for over 10 years. No one else touches my '86 325 es. Doug and company have saved me so much time and money over the last decade I can not thank him enough. In a delusional moment I took my baby into another shop and about died when told how much the repair would cost. Doug repaired the problem for me for 1/10th what P*P B*Ys wanted for the job. Yikes. Fair prices. Great service. Friendly staff. It just doesn't get any better. Doug has my unequivocal recommendation. Going any where else is a waste of time and money. After taking my 335 to two separate dealers here in Denver - neither of whom could identify the problem - Doug and the guys at Paddock took about 15 minutes to identify the problem, explain to me what was wrong, and get me back on the road. I can say without reserve that I will trust them with my service needs from here on out. Thanks for a fantastic experience! On my way to AZ, dropped off my '06 330Ci ZHP in to fix the engine oil leak. Before they looked at it, we discussed either (or both) valve cover gasket or oil filter mount as the most likely culprits. Came back a week later, and it was the oil filter lid -- about as cheap a fix as it could have been. I am a first-time Bimmer owner, and first time customer from South Dakota. I was treated very, very, well and beyond my expectations (which are always high.) HIGHLY recommended! Paddock Imports is the place to take your car, HANDS DOWN, I was a first time BMW owner and didnt have a clue about my car. I made an appt with Doug and he showed me the ins and outs of my new vehicle. I did have some issues with my brakes and some other minor things but Doug spoke with confidence that he would be able to take care of them at a fraction of the price of those "other guys". The service that I recieved was way beyond my expectation and the price was lower than I expected. I would NEVER let anyone else work on my car. Doug is a mechanic with a very high level of integrity and passion for doing things right the first time. Take your car in and see for yourself. You wont be disapointed!! I called Doug after receiving a very high quote on an A/C repair from a dealer. Doug was honest about what the work entailed and actually suggested I go back to the dealer and complain since he thought I could get the price lowered (which I did). Nothing demonstrates honesty better than being willing to lose business to help a potential customer. Paddock didn't get this repair job but will certainly be getting future business from me. I live in Vail and was unsatisfied with the quality of diagnosis and work done on my 1999 M3 Coupe at a local shop. I found Paddock Imports through bimmershops.com and decided to give them a go. After hearing the description of my car problems and experiences with other shops, Doug had a pretty good idea what was going on. He got me on the schedule quickly and coordinated with me since I had limited options for coming from the mountains. When the car was ready, he explained all the work in detail, including showing me the actual worn out parts from my engine. He also was on the lookout for other things I needed (like new snow tires to replace the ones I had only used sporadically for the last 10 years in Oregon and Chicago). I arranged drop shipping new tires from the tirerack.com, and Doug's team got them on quickly and easily. My dream car works like a dream again! I only wish I could find a good body shop to take care of some rust under my rear wing. I am relived and elated to find that Doug has a shop in Denver. Having recently purchased a BMW upon my return to Colorado, I was immediately disappointed at the dealer and feel a great deal better knowing Doug can oversee the care of my car. He was the man at Tillery who for years kept my various BMWs in great mechanical shape and for a reasonable price. Straight forward and pragmatic about what should be done, could be done, and must be done and clearly outlining the cost to do it and the consequences of not doing something. i would highly reccommend his savant like expertise for BMWs and most any vehicle, particularly anything German. Doug and team did a great job for me. I was in Denver on vacation and had problems with my 2000 528i. They diagnosed my problems and got me back on the road quickly at a fair price. I highly recommend this shop. I own a 2000 740iSport, for years I've bounced between the Murray's and a couple of the independent BMW shops trying to find a place where I felt like I was getting a straight answer and a fair value. Finally about 2 years ago I found Doug Paddock's shop. Doug is my new go-to BMW guy. Paddock's is the best BMW shop in town - a combination of service, value (more affordable than dealers and other independents) and speed of repair. And if it's a repair that can wait - Doug will tell me so. Trying out new shops was nerve racking... Thankfully I no longer have to. Doug and the crew are awesome! They are very reliable, trustworthy, credible, and have common sense. It is refreshing to have a place like this in our current world of mechanics. Thank you guys for being stellar!!! I recently bought an M5, and per my usual routine, I took the car to the dealer to have it gone through completely. Their estimate for work needed was over $4700 for a car that was running perfectly and only had 22k miles on it. I rejected the work order, and on the advice of two other M car owners in town, I took my car to Paddock Imports. My estimate for new fluids, brakes, rotors, oil change, and a few ancillary things the dealer didnt even find, was less than 1/2 what the dealer quoted. Doug looked at many things on the dealers "checklist" (shocks, suspension itemes) and said they were just fine and that we would just keep an eye on them from oil change to oil change. Hell he even took me out to my car while it was still on the lift and let me see with my own eyes that the parts were fine. Thank you Jim, Paul, and Mike (local M5 owner in BMWCCA) for recommending Doug and Paddock Imports. Those guys are real enthusiasts. Customer for life! I had Paddock's Imports replace the front rotors and pads on my 2005 BMW 530xi. Doug suggested ceramic pads as they would not elaborate brake dust and he thought that they were a superior product. My problem after the repair was incessant squealing from the front brakes. I talked to Doug, who is always a gentleman and is very professional. Despite now having my car taken back into their shop TWO additional times the brakes continue to squeal reminding me every time that I stop that I spent $607.50 for a problem that they do not seem to be able to overcome. Doug told me that he was going to revert back to the original pads & if he actually did this I am even more perplexed. I wish that I could recommend Doug's business based upon his repertoire but I paid for my vehicle to be repaired, took it back two times requiring me to find transportation for 2-4 days (no loaner), and still have inferior work. Disappointed. I feel very fortunate to have discovered Doug, Serg and the crew at Paddock Imports. My '99 323i was towed in to his shop last year after she seemed to die a horrible death. 2 days later, she was back better than ever and at a price the dealership would have doubled. I did not hesitate to take my girl back to him when an overly-aggressive curb, a snow berm and dodging an idiot did a bit of damage. Once again the repairs were done quickly and at a fair cost. These guys enjoy their work and it shows. I had just moved back to Denver under a less-than-ideal situation and the last thing I needed was a car repair (2002 BMW 325CI); especially an expensive transmission repair!! I found Paddock through internet searching (much like I suspect you are doing if you are reading this) and am absolutely certain I made the best choice in Denver! Hoping to find a less expensive and nearly as confidence-inspiring option to rebuilding my unknown and costly transmission issue, Doug not only offered to be a sound board for any ideas I came up with, but actually followed through on every call I placed over a few days! Not once during did I sense he was irritated or put-off by my questions and potential solutions. Nor did I sense I was getting a ‘sales pitch’ to have the job done at Paddock. Between dropping my car off and waiting for a ride, I spent a fair amount of time in their waiting room (not Paddock’s fault at all!). Every customer who came in was pleased; not once did I hear a customer complaining about price, timing or anything. Nor did I hear any phone calls which sounded to be dealing with irritated customers (and there were probably 30 calls I heard 1 side of). Doug and Sergio and the rest of the crew I observed were as professional as could be imagined; clean, respectful of all the cars, discussing jobs amongst themselves, etc. Simply put, and what I tell everyone when I refer them to Paddock, is that Doug is the ONLY honest mechanic in town. Period. I've been bringing my cars to Doug for more than 10 years, and have my entire family and most of my friends going there as well. On my first 6 series, the head gaskets were starting to go. Instead of insisting I get the job done, Doug simply said "why don't we just keep an eye on the oil? When we have another reason to lift out the engine, we'll replace the gaskets then." Any other mechanic would have said the gaskets had to be replaced, to the tune of $1000. In a side note, that car was totalled by a drunk driver about 6 months later, so I REALLY appreciated the fact that I didn't drop the cash for something that truly could wait. It's now three (or maybe four) cars later - only one of which is another BMW - and Doug has seen me through all the repairs. Doug and his crew are honest, they know what they're doing, and as long as I live in Denver (and Doug doesn't decide to retire early), I'll be taking my cars to him. I wouldn't and don't hesitate to recommend Paddock Imports to everyone! Have only been in once, but was impressed with Doug Paddock's personal attention, honest assessments, and genuine interest in creating a positive customer experience. I will post more as my experience grows. I live in Omaha Nebraska and found the E39 528 sport of my dreams on Autotrader. I called Paddock Imports to arrange an inspection. Doug picked up the car for me, inspected it, and called me with one of the most detailed inspections I have ever recieved. He identified a panel that had been painted (not previously disclosed) and a lot of mechanical work that needed to be addressed. I used this information to negotiate the purchase and ended up getting one hell of a car. Doug graciously agreed to keep the car at his shop until I could fly into Denver to pick it up. When I got there, the car was better than anything I could have ever imagined. There were several issues that needed to be addressed before the car would be roadworthy--taillights, bad tires, alignment, etc. Doug fixed all of them for a very fair price while I ate lunch at a restraunt around the corner. I wish Paddock Imports existed in Omaha Nebraska! A huge thank you! I'd have to say Paddock Imports is the best bmw repair shop I have ever been to. He's honest and the work his mechanics put into each car is top notch. I've gone to Paddock Imports every time since I've started driving my 2004 BMW 325. I know its in good hands when I leave it with him. Thanks Doug and staff! What can be said about a shop that promises one price and then fixes it for less! How refreshing in a business that is renown for screwing customers. Paddock Imports has a customer for life in me. I read some great reviews for Paddock Imports on this site. So I took my 2000 BMW 323I to their shop for the no reverse problem. I found Doug Paddock to be very knowledgeable, honest and up front. He knew exactly what was wrong with the transmission and replaced the reverse clutch drum at a reasonable price. I highly recommend Paddock Imports for BMW service and repairs. Honestly I couldn't tell you whether or not they are good mechanics cause I just dont that much about cars. All i know is my BMW runs awesome, Doug is super nice to me everytime I come in the shop, and his head mechanic Sergie is super hot. After years of hard work, I finally bought my dream car--a 2007 black on black E60 M5. I wanted various performance modifications, so I talked to the BMW dealer about Dinan tuning, but the more I talked to them, the more I realized they had no idea what they were doing. I felt like I knew more than they did, which honestly, left me uninspired. I talked to every independent shop in Denver and finally settled on Paddock Imports, because within 15 minutes of talking to Doug, I knew he understood the "fine line" of tuning a car like mine. He understood the science of making it better, without stealing it's soul. After an hour of discussion, he outlined a vision and plan of attack which spanned 12 months. My M5 now has cold air induction, an Eisenmann exhaust, custom fabricated short shifter, HRE wheels that Doug ordered and installed, and a lowered, more aggressive stance via coilovers. Doug also installed Autologic engine management software, which made the car absolutely insane!! Now my car is a thing of perfection and Doug takes care of every detail I need. If you own an M car and live in Denver--this is where you take your car! I HIGHLY recommend Paddocks for your BMW repairs. HONEST, FAIR, STRAIGHT FORWARD. They'll show you the problem, explain why their repair will fix it....and they keep it until it's fixed. I wish I had found Paddocks before I spent so much extra at the dealer...they didn't take time to diagnose and I overpaid. Thank you Paddocks for providing an honest service. Well everyone Here's my Follow-up comments after bringing in my 2000 BMW330i to Paddock Imports in Denver, CO. Doug and his crewmen did an amazing job on my car. I am so happy about the work done that I have scheduled a future appointment for the remaining work to be completed by Doug and his crewmen. They are so friendly and professional. My mind is at ease Now that I have found Doug/ Paddock Imports in Denver, Co. and his crew of course! See you later, Mr. Dealership!!! I have been bringing my vehicles to Paddock Imports for many years. Never has the service been as wonderful as it is now. While no one enjoys the task of repairing or maintaining their vehicle, it is a pleasure to do so with Doug and the professionals at his shop, who are always prompt, courteous and efficient in their diagnosis and resolution of whatever problem is presented to them; and who always do so at a fair price. On more than one occasion, Doug has analyzed and fixed problems that were still covered by warranty; which the manufacturer’s dealer could not even understand despite multiple attempts. The small tips/suggestions he has made to me over the years have been very helpful as well. Knowing that my family members (including my sixteen year old teenage son) have clear instructions on how to get their vehicles to his shop (at any hour) should they have a problem, has afforded me a greater sense of comfort and confidence when they are out on the road at night. Doug, thanks again for taking such good care of us and our vehicles. Keep up the great work! I've been a client of Paddock Motors for over 3 years. They are the most honest automotive service place I have ever used. When I go there, I know my car will be taken care of and that it will be done without any added work. Doug and Sergy are thourough, knowledgeable and truly know how to take care of their clients. I highly recommend them and you will not be disappointed if you do go there! Thanks Paddock! Keep up the great work. After reading everyone's comments I decided to contact Paddock Imports and had the opportunity to speak with Doug. Already just by speaking with him made me feel so at eased. His pleasant and professional ways over the phone had me to go ahead to schedule the appointment to have my BMW330i worked on, after speaking with a dealer. I can't wait to follow back up to tell you how my overall service...too be continued. Called Paddocks on 4/27 with a need for a last minute appointment for my 2001 525i. Spoke with Doug who said he would squeeze me in on the 28th but it might take all day. Arrived on the 28th and they took me right in and I was out of there in an hour. Very willing to do whatever to help me out. Very pleased with every aspect of my experience. Highly recommend for anyone that has a need for BMW service. Doug Paddock and his staff did an incredible job. They did everything they could to cut the cost to the me and were very helpful and HONEST. Not only that, they replaced my windshield free of charge when a crack was accidentally made. Their superior service didn't stop there.. as I was pulling off the lot around 5 PM, my check engine light decided to come on. My car was promptly taken to the back, worked on for an hour and a half past closing (6 PM) and then given back to me free of charge. I've never had such a good experience with a mechanic shop. This is THE place to take your car and I'll never go anywhere else. Doug's shop is simply incredible. Paddock Imports is number 1 in personal service and fairness. I was Doug's first customer at Paddock Imports. But I worked with him at his previous shop for years and I can assure you that Doug is very well experienced. Since I own an M3 and a 740I sport I am a fanatic about BMW maintenance and quality. Doug and Sergey will not disppoint. You can bank on it. I recently moved to the Denver metro area with my 2005 BMW M3. My service 2 was almost up so I started researching, knowing I wanted the service done right. I belong to bimmerfest forums and have family members who own BMW's so I knew what to expect (or so I thought). After dealing with a few 'Stealerships' I called Doug and Sergey. They got me in, finished my service and have gone beyond the call of duty since my last visit. For those of you that are fanatical about your cars and service, Paddock's will not disappoint. I can't see taking my car anywhere else. I have been in Denver for 10 years after relocating from Chicago where I was a partner in an independent Volvo repair shop for 20 years. Having driven only Volvos for decades, I decided recently to purchase a used 2006 530xi sports wagon. Having faith in the independent shop philosophy (when done right), I sought such a shop to check out my new BMW that shared the same attention to client service as I had nurtured in my former shop. I found Paddock Imports through this web-site and called Sergey for an appointment. The rest is history. Doug and Sergey treated me like a member of their elite referred family from our first meeting. This is a shop where I know they share my passion in making my first BMW the ultimate driving machine that I expected when I bought it. I am home. Paddock Imports is awesome. I've lived in three cities since being addicted to BMW's in the 1980 and Paddock is simply the best shop I've ever found. Jobs are done right, everything is upfront and square. You could not trust your car to a better man than Doug Paddock! I unequivocally recommend the shop and have sent many very happy friends there who thank me for the introduction and who keep going back. I brought a BMW to Doug for pre-purchase inspection. He gave me his very honest opinion. Thank you. I took my 2004 325xi to Doug because of the feedback on this site. What people have said here on this page is what I also experienced. I only needed an oil change and minor tuning. He knew the issues I was experiencing and gave honest feedback about what would be best. He also worked with my schedule and was very flexible. The impression I got was that he was wanting to develop a business with regular clients and not merely make money. If I was not moving I would take my car to him indefinitely. Doug is the man! I called him when my car's engine sounded like a garbage disposal, and he pinpointed over the phone the most likely cause: the water pump. He was right! He even went as far as fixing the mistake of a prior BMW shop I had used in the past. I will be recommending Paddock Imports to all my friends! Doug was famtastic in helping me figure out what questions to ask when buying a BMW from a private owner. He's willing to assess the car for a reasonable price and give me the honest scoop! Thank you! Doug Paddock is in my opinion the final authority in Denver Colorado when it comes to repairing, maintaining, and tuning BMWs. He has already forgotten more than Bimmerhaus will ever know about Bimmers. I wouldnt dream of taking my car anywhere else. My wife has a 2003 BMW X5. We had spent a small fortune at the dealership a few years back, and they did NOT do a good job. Recently, the problems had me wanting to sell it. I took it to Doug Paddock and got straight answers, something we had never experienced before. He did his best to keep the costs down, and eased my anxiety about everything. He took the time to go over all the repairs, and even showed me all the damaged parts he was replacing. I was very skeptical when I began looking for a mechanic, and I am convinced that he is an honest, good guy. His staff is friendly and knowledgable, and his dog, Cliff is a pleasant addition. I wil be taking my 4Runner there in the future, and have already told my family and friends about my new mechanic. Thanks guys! I had some questions on my BMW and didn't want to just drive into a repair shop and yell "Help!" Doug was great and answered all my questions over the phone. I would definitely take my car to Doug for service. Highly recommend. Thanks!! Doug's shop is great for imports other than BMWs too. I take my 79 VW Bug and my Subaru Outback there and like the service and the price, which doesn't include a lot of "your car also needs this $900 repair."